Imagine that you are a captain of a ship. In the hold of your ship is all your precious cargo that you hope to sell overseas. You are, of course, excited and busy yourself with the task of operating your vessel. What you don’t know is that tiny leaks have sprung in your hold. You don’t notice, but someone else does: a horde of pirates who’d love to steal your treasures. You try to outrun them but the leaks in your ship are slowing you down, so you send your crew to pump water and plug the holes. Due to your quick actions, your crew and your cargo escape the hands of the pirates. I think you get the metaphor. The ship is your business, your cargo is your intellectual property. 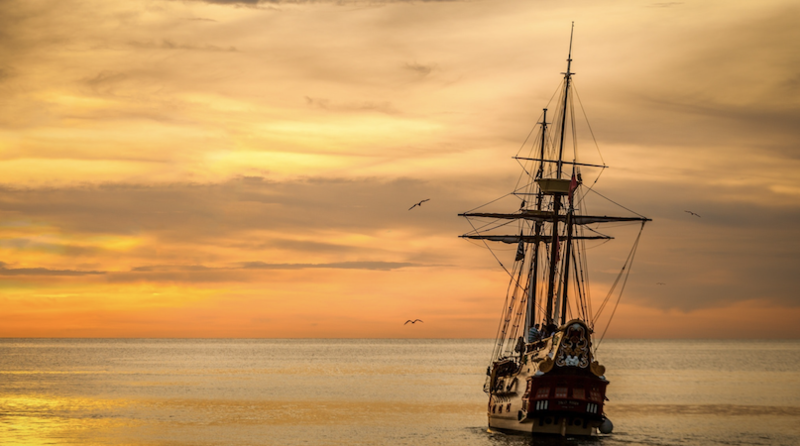 You spring a leak when you don’t protect your brand, products or services with trademarks; but what we really want to talk about today are the IP pirates prowling to plunder your assets. Don’t let your business go down without a fight — here’s a look at who to watch out for when planning your brand protection strategy. Who are the Intellectual Property Pirates? Hackers: You know who these are. They break into your databases to steal information — including unregistered IPs. Phishers: These guys fool email users with links in official-looking websites. Once you click, they can enter your system like a virus. Trademark Hoarders: They keep an eye out for unregistered trademarks and file applications before you can blink. Cybersquatters: They look out for unregistered domain names and run to register, often for sites that are inappropriate for your company. These last two will sit on your trademark or domain for the fun of it or until you pay ransom — just like real pirates. What can this do to my company? Remember: Common law trademarks are not guaranteed protection; and even if you have trademarked your business name, that is not the same as trademarking your domain name. If you don’t register a domain along with your business name, you are leaving yourself open to IP theft. Let’s take a look at what happened to the OECD when they didn’t clamp down on their French website domain, ocde.org. The company made an error on their renewal registration, which did not go through. A short while later, they found out that their high-traffic domain led to a pornographic site owned by an anonymous registrant called “Domain for Sale,” supposedly in Armenia, though they could not be found there. OECD were far from the first to fall prey to a pirate like this one. The OECD turned to the domain registrar, Namescout for help, but they insisted on giving the cybersquatter every opportunity to legitimize their claim. This was after Domain for Sale had used many false names, addresses and contacts, not to mention their previous conduct and the clear nefarious use of the domain. As long as Domain for Sale pretended to correct their information, Namescout refused legal action. They even entertained the idea that the Armenian couple listed under the false address may be the registrant, even though this was provably false. Eventually the OECD moved to sue Namescout for damages and Namescout quickly found reason to de-register Domain for Sale. After a long, arduous, disheartening process, the OECD regained their domain. Once you’ve lost your trademark or domain to a hoarder or a squatter, it is difficult, even impossible, to get it back. Registrars often allow these pirates legitimacy and anonymity even when they are clearly in bad faith, so it can be difficult to make a case against them. Register, register, register: register your trademark. Let Witmart help you streamline the process so that you are the FIRST to prove and maintain ownership rights to YOUR intellectual property. If cybersquatters and hackers are the pirates, our team at Witmart is the coastguard. We are invested in protecting your intellectual property. Don’t allow your hard work to slip out of your hands! Want to learn more about how Witmart can help you safeguard your business assets from IP pirates? Give us a call at 1-877-948-6278 to set up a FREE confidential consultation with a trademark expert today!